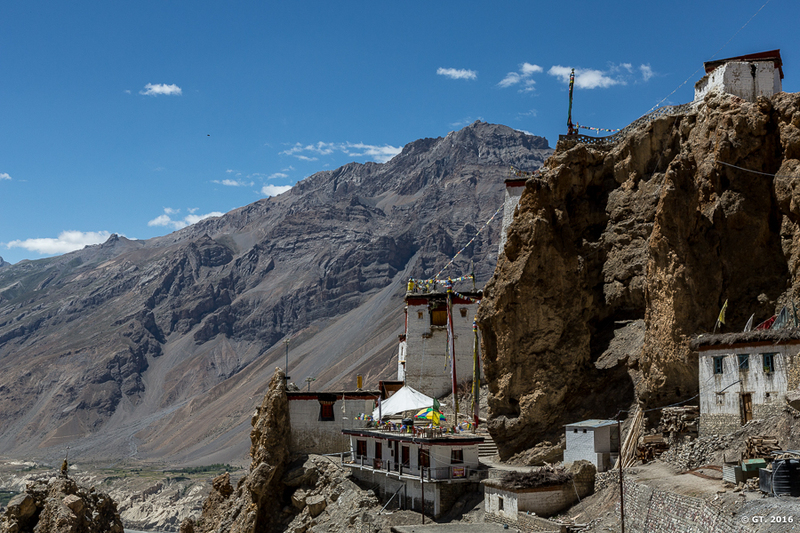 Dhankar Gompa (also spelt as Dankhar, Drangkhar or Dhangkar) is both a village and a Gompa, in the district of Lahaul and Spiti in India. 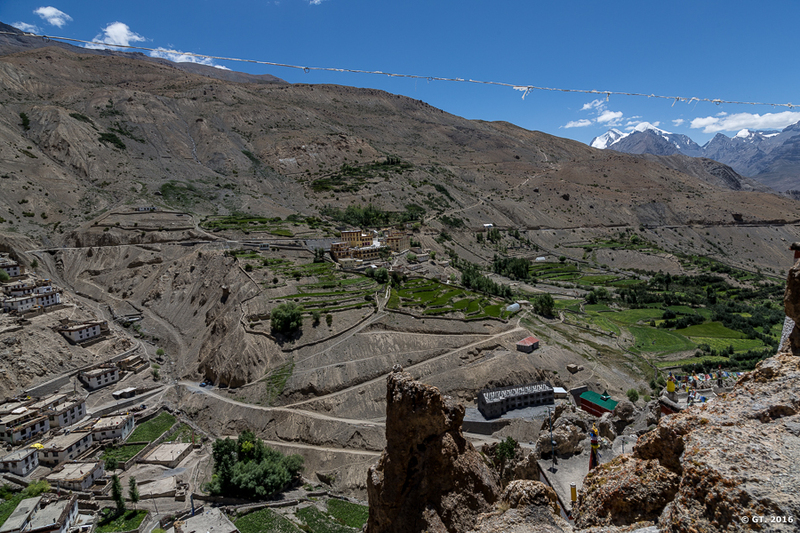 It is situated at an elevation of 3,894 metres (12,774 feet) in the Spiti Valley above Dhankar Village, between the towns of Kaza and Tabo. 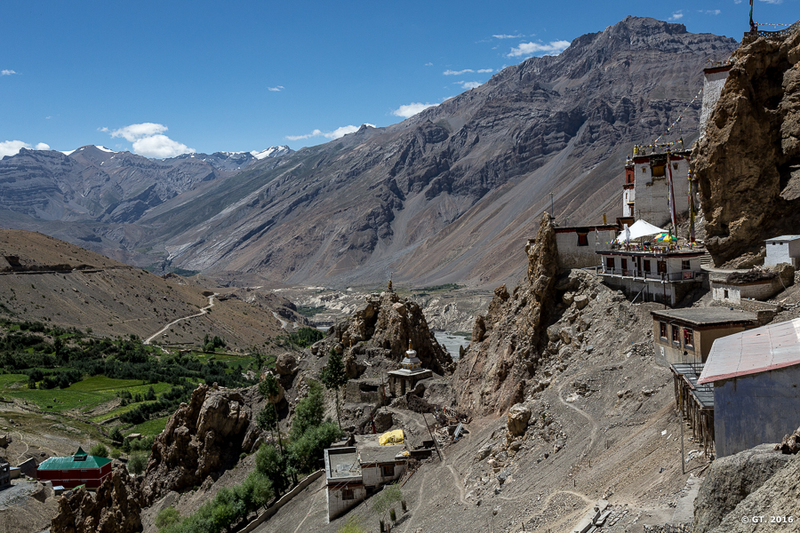 The complex is built on a 1000-foot high spur overlooking the confluence of the Spiti and Pin Rivers – one of the world’s most spectacular settings for a gompa. 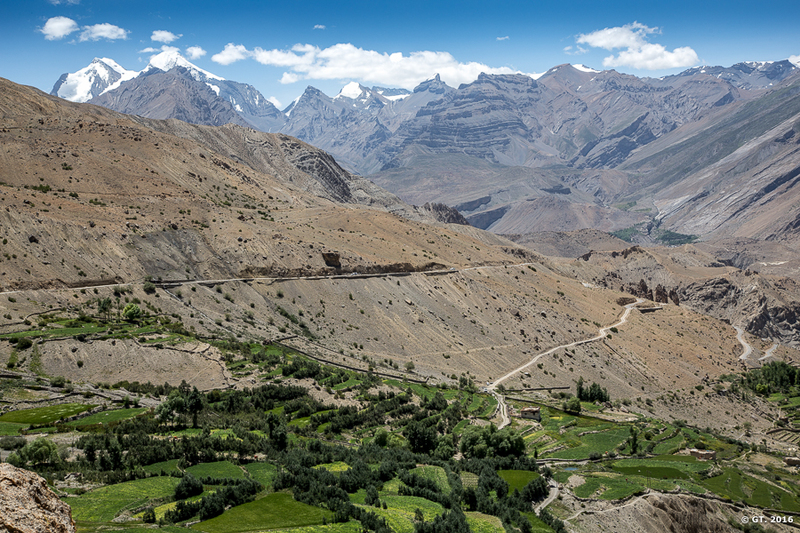 Dhang or Dang means cliff, and Kar or Khar means fort. Hence Dhangkar means “Fort on a Cliff”. 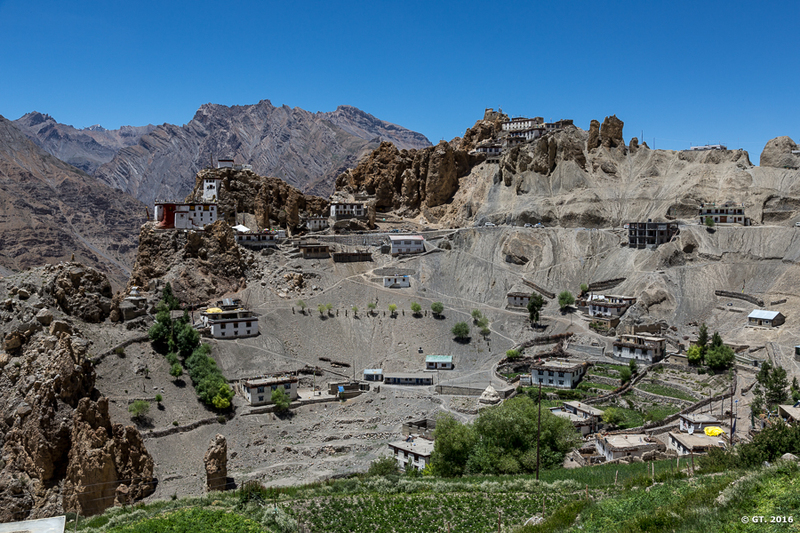 Dhankar is supposed to be the oldest monastery, but unfortunately was not able to get that title due to lack of records / papers and Tabo Gompa got that distinction. 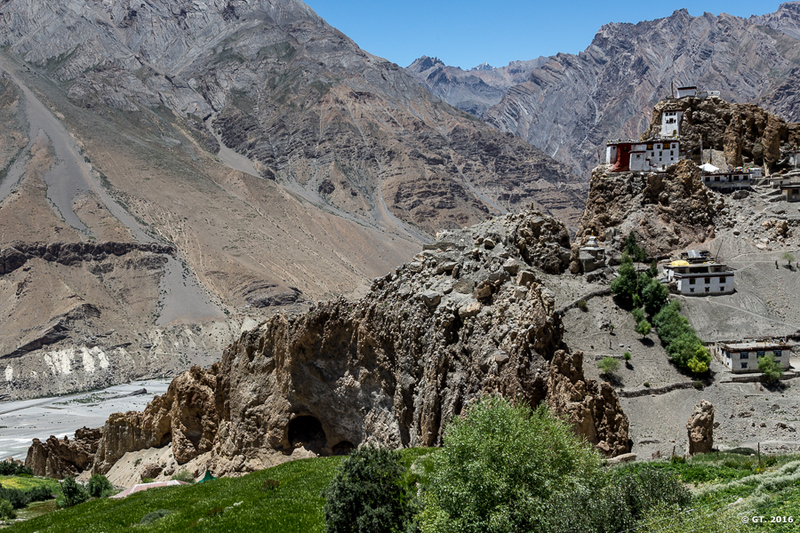 Dhankar, like Key Monastery and Tangyud Monastery in Spiti, are built as a fort monastery on the central Tibetan plateau. 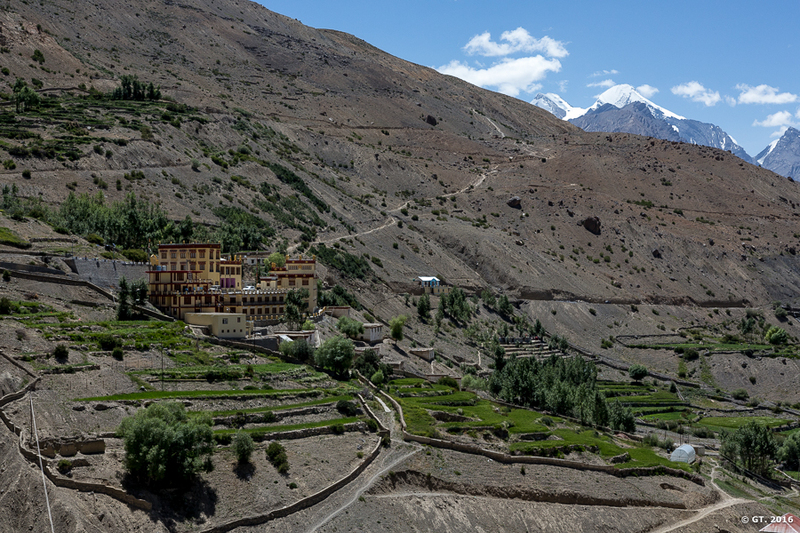 A new monastery, as seen below, at a short distance from the old monastery, now houses all the monks. 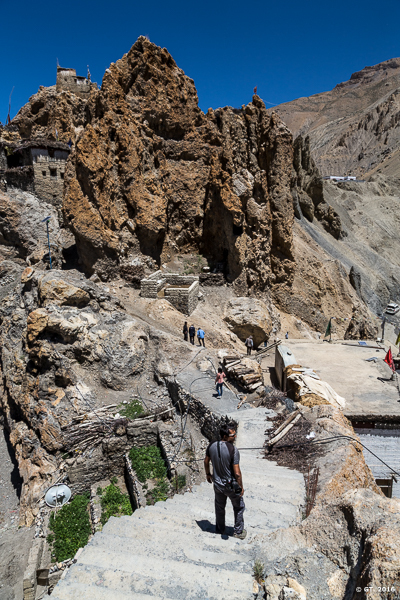 Couple of monks are assigned to guide the tourists at the old monastery and for its upkeep. 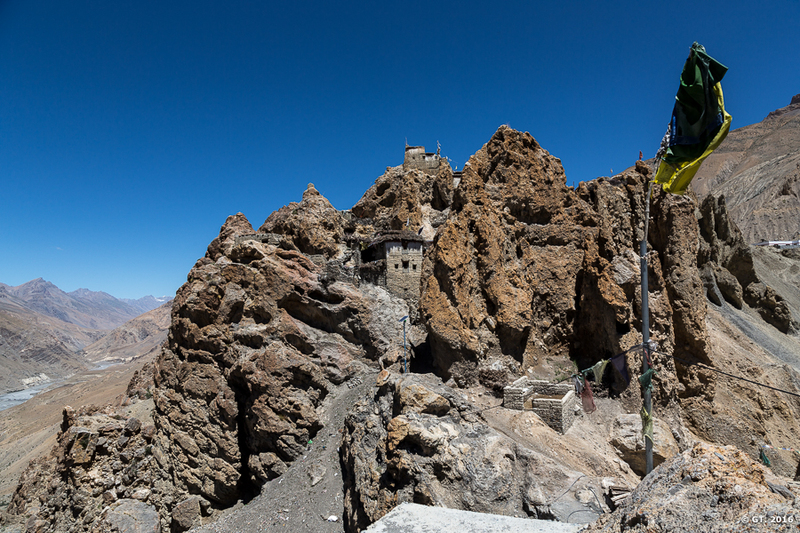 Dhankar Gompa in all its glory …. 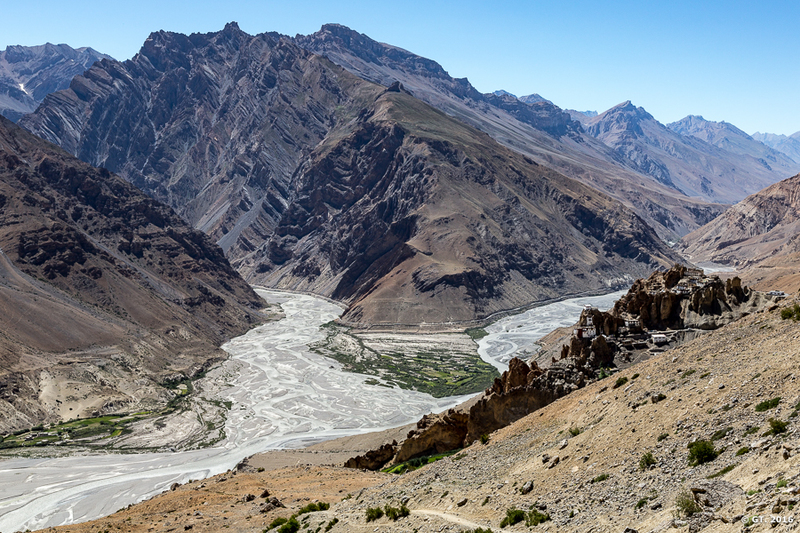 Pin river (on the left) joining the Spiti river on the right. 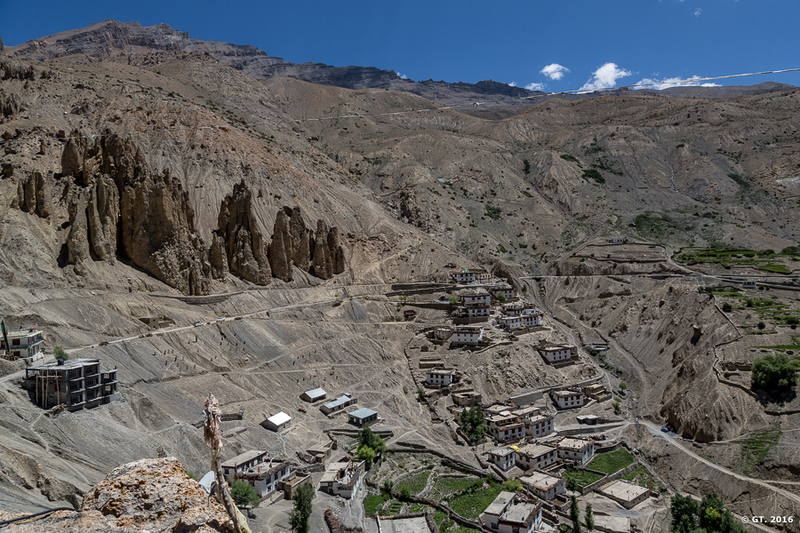 What a location to build a glorious Gompa !! !